In a world where technology is rapidly changing, the longevity of the tech company, which was founded in 2002, is a tribute to its utility and dominance within its niche in social media. In fact, the search intent of the term “LinkedIn” has more than doubled in the last 10 years. And, when it comes to interesting LinkedIn statistics and LinkedIn facts, there is a surprising abundance. LinkedIn has over 575+ million users, with more than 260 million monthly active users. Of those LinkedIn users who are engaging with the platform monthly, 40% access it on a daily basis. However, LinkedIn is used sparingly, so you only have a few minutes to make an impact. Users only spend about 17 minutes on LinkedIn per month. According to the Pew Research Center 2018 Social Media Use study, LinkedIn remains popular with college students. Further research into these LinkedIn statistics revealed that 50% of college graduates in the US are LinkedIn users, while the site engages with only 9% of people whose education doesn’t surpass high school. Additionally, 44% of LinkedIn users take home more than $75,000 per year, which is above the national median in the US. 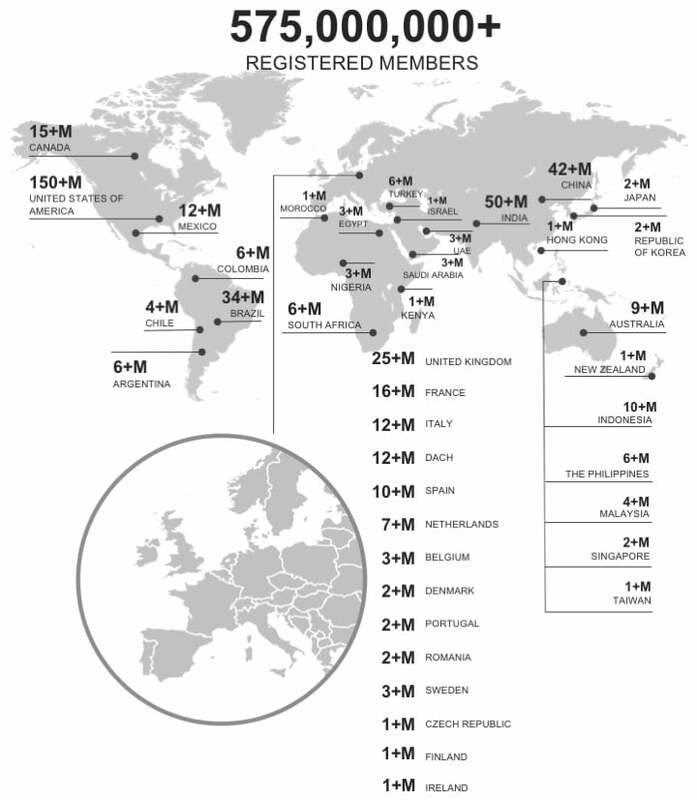 Although the US has the most LinkedIn users at 133 million, 70% of LinkedIn users are from outside of the US. Along gender lines, LinkedIn is more popular with men, who comprise 57% of its users base. And, interestingly, millennials make up 38% of LinkedIn’s user base, with 11 million of the 87 million millennials in decision-making positions. Microsoft, recognizing the value of LinkedIn, acquired the company for $26.2 billion in 2016. However, unlike many other social media platforms, which rely on advertisements, LinkedIn’s services are something for which users are willing to pay. Premium Career is best for those looking for jobs. It gives you access to five InMail messages per month and in-demand videos, as well as the ability to see who viewed your profile, how many searches you’ve appeared in, and additional information on posted jobs (including salary). The other tiers include essentially the same basic features but then go a step or two further. 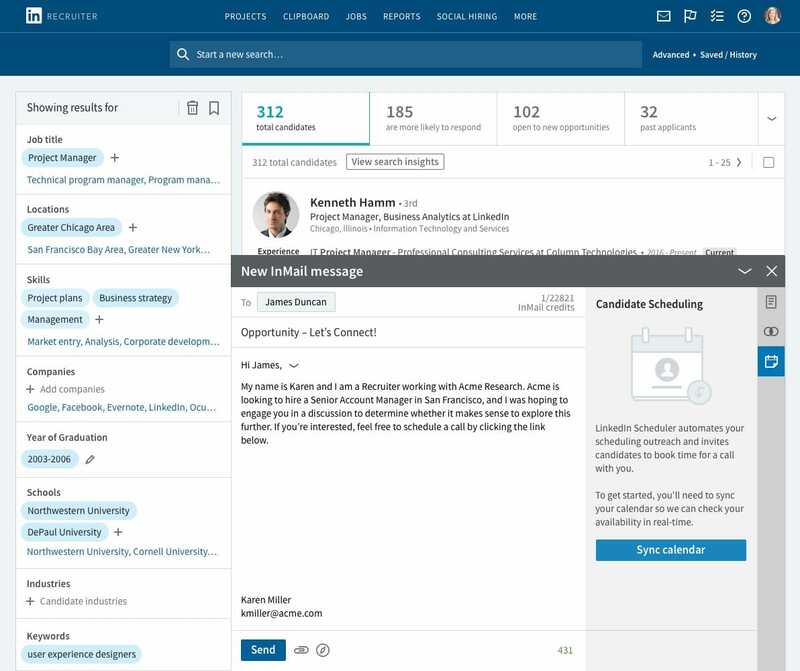 Premium Business gives you additional information about businesses and unlimited people searches; Sales Navigator Pro gives you advanced search filters, access to different sales tools, and the ability to make notes on user profiles; and Recruiter Lite gives you guided search smart suggestions and more recruiter-focused tools. No matter which Premium account you buy, you’ll have access to improved metrics and various ways to achieve LinkedIn growth. LinkedIn is an especially good source for discovering leads. 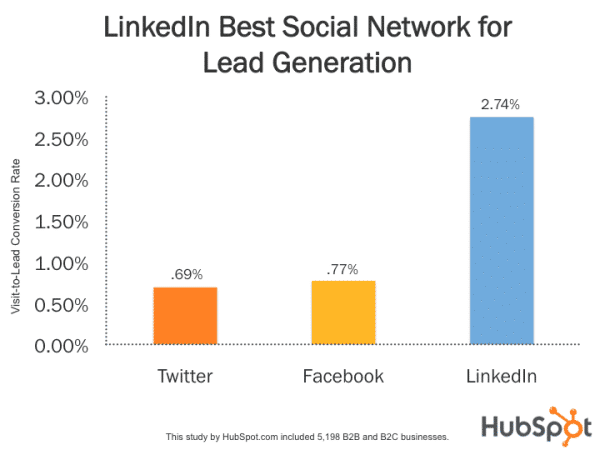 Hubspot found that LinkedIn is 277% more effective at generating leads than Facebook and Twitter. Given this, it’s no surprise that 79% of marketers see LinkedIn as a very good source of leads, with 43% of marketers saying they have sourced at least one customer from LinkedIn. 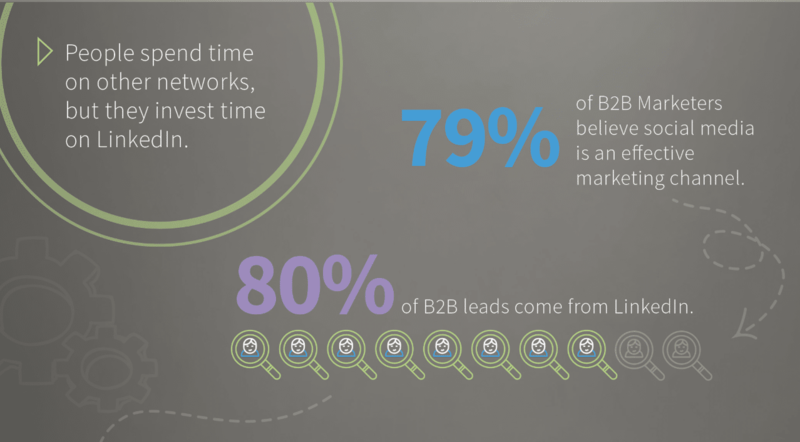 That number increases for B2B marketers, who report that 80% of their social media leads come from LinkedIn. The other primary reason LinkedIn users are active on the platforms is for job recruitment efforts. With more than 20 million companies listed on the site and 14 million open jobs, it’s no surprise to find out that 90% of recruiters regularly use LinkedIn. 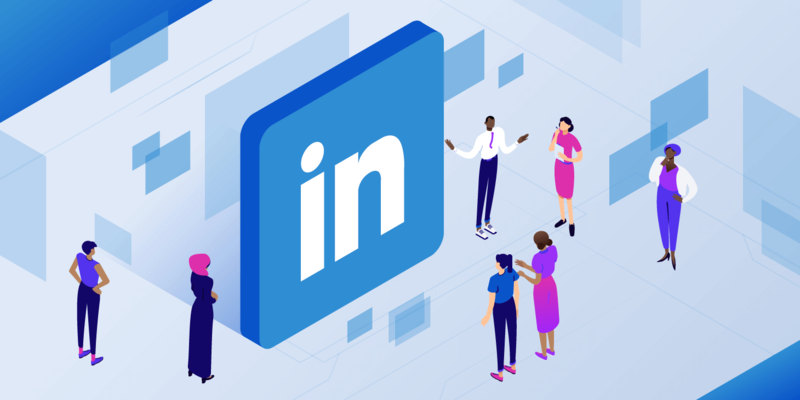 In fact, a study found that 122 million people received an interview through LinkedIn, with 35.5 million having been hired by a person they connected with on the site. One good LinkedIn stat for recruiters is that employees sourced through the site are 40% less likely to leave the company within the first 6 months. Because of LinkedIn’s ability to recognize boolean operators and filter results according to metrics such as company, number of years of experience, function, and seniority level, the platform easily tops its competitors for helping people make essential business connections. However, despite the advanced search capabilities, you will still want to optimize your LinkedIn profile. The first step for doing this is adding a professional photo, which on average will get a user 14 times more views than other types of profile pictures. To boost your connection requests by fivefold, make sure you list your current position. 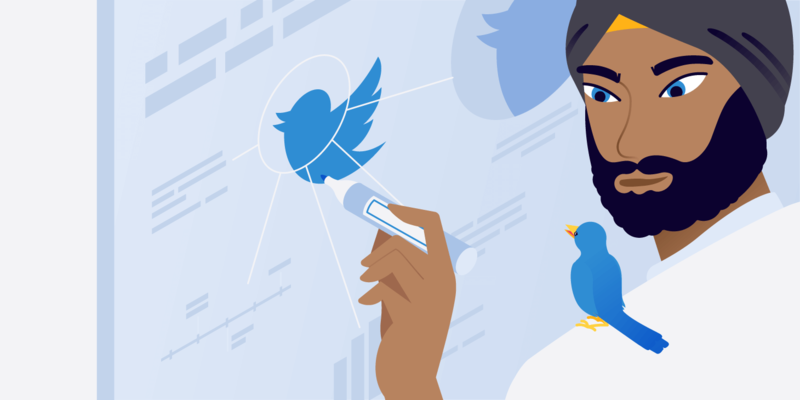 And, don’t forget to list at least five relevant skills, as doing so increases the chance that your profile will be discovered and someone will message you by more than 31 times what you would get if you didn’t. After Microsoft stepped in, LinkedIn introduced several new features, such as Showcase pages. This extension of business pages is designed to highlight your company’s business unit or initiative. LinkedIn also introduced a calendar chatbot, which syncs the calendars of two LinkedIn users so they can meet up. This is especially helpful for people wanting to connect with others in different time zones. Although a chatbot feature has yet to be implemented on LinkedIn, AI technology has already made its way to the platform in the form of smart replies, or suggested responses. Additionally, LinkedIn also rolled out messaging, which allows users to send InMail in the form of chats, rather than with the email formatting, which cuts down on excessive clicking. This feature also includes sponsored messages. LinkedIn allows you to share different types of content. Articles, which can be posted on your profile or on LinkedIn Pulse, links to your website, slideshows, and video are among the most popular types of content LinkedIn users post. Content on the LinkedIn feed receives about 9 billion impressions per week, but only 3 million users (out of the more than 500 million) share content on a weekly basis. This means that only about 1% of LinkedIn’s 260 million monthly users share posts, and those 3 million or so users net the 9 billion impressions. 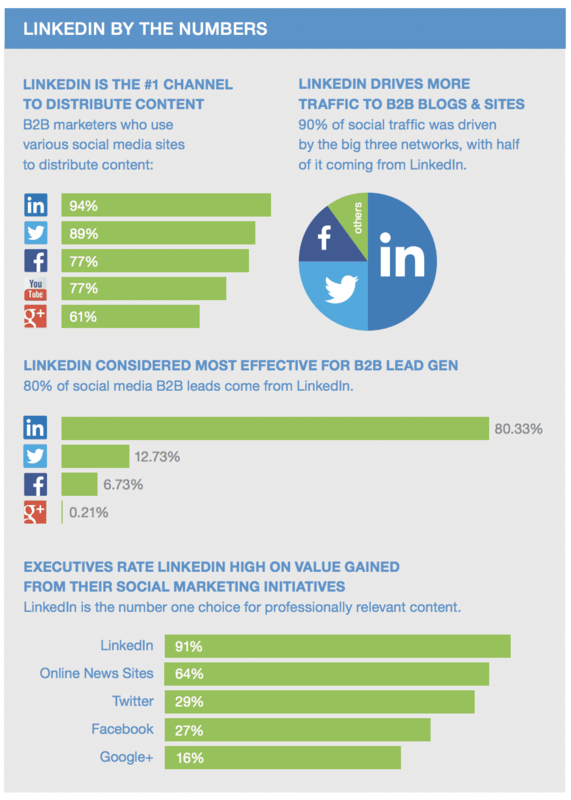 LinkedIn drives more than 50% of social traffic to B2B sites and is considered the most credible source of content. So, it is no surprise that 98% of content marketers use LinkedIn for content marketing, especially for B2B marketing and lead generation. A study by OkDork, which analyzed more than 3,000 LinkedIn posts, found that “how-to” and list posts performed best, especially those with titles that had 40-49 characters. Additionally, it found that posts with five headings had the most views. It also revealed that long-form content (1,900-2,000 words) performed the best, as well as content with eight images. 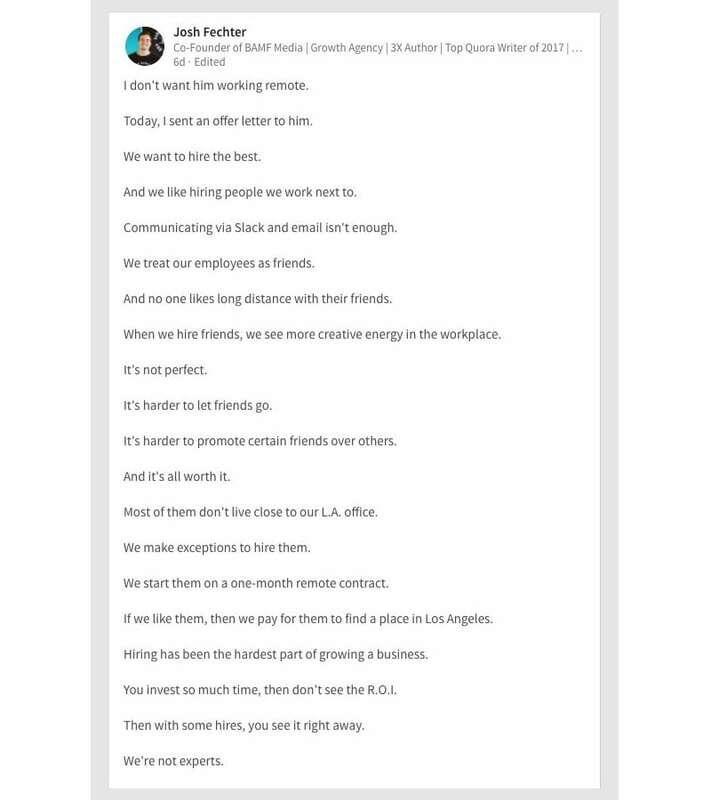 Just don’t get us started on the LinkedIn stats behind using “broetry”—multiple one line sentences that are probably as annoying to write as they are to read. Supporting the idea that images improve your posts’ popularity is the fact that including photos increases the comment rate by 98 percent. Time and time again, we see that a visual content strategy just works. 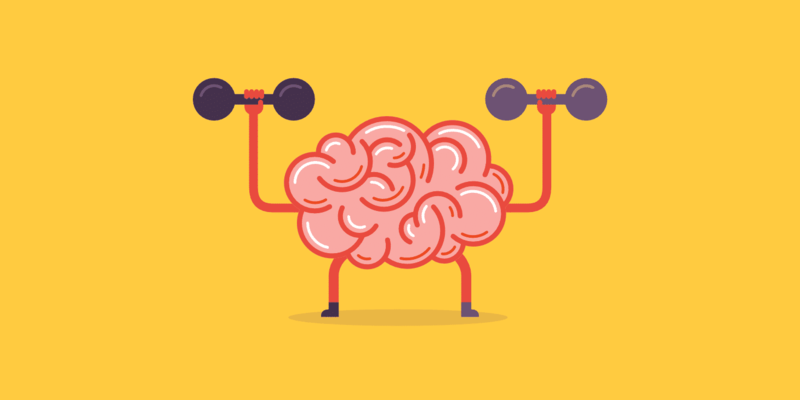 Now, one interesting fact that you might not be able to tease out of your own posting results is that content published on Thursday tends to perform the best. Thankfully, you don’t have to be a LinkedIn influencer to have your content perform well. 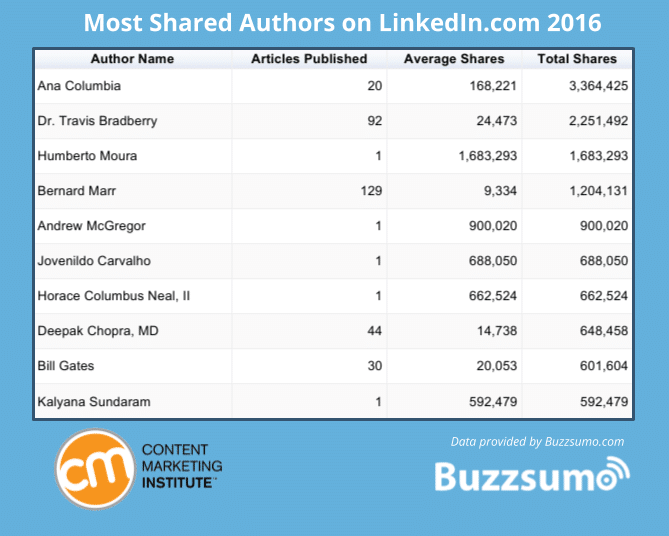 Of the 10,000 most shared posts on LinkedIn between 2012 and 2016, only 6% were written by LinkedIn influencers. Mark Zuckerberg proclaimed video as ‘the next megatrend’, with platforms such as Facebook, Instagram, Twitter, YouTube, and Snapchat making it easier for users to upload video content. 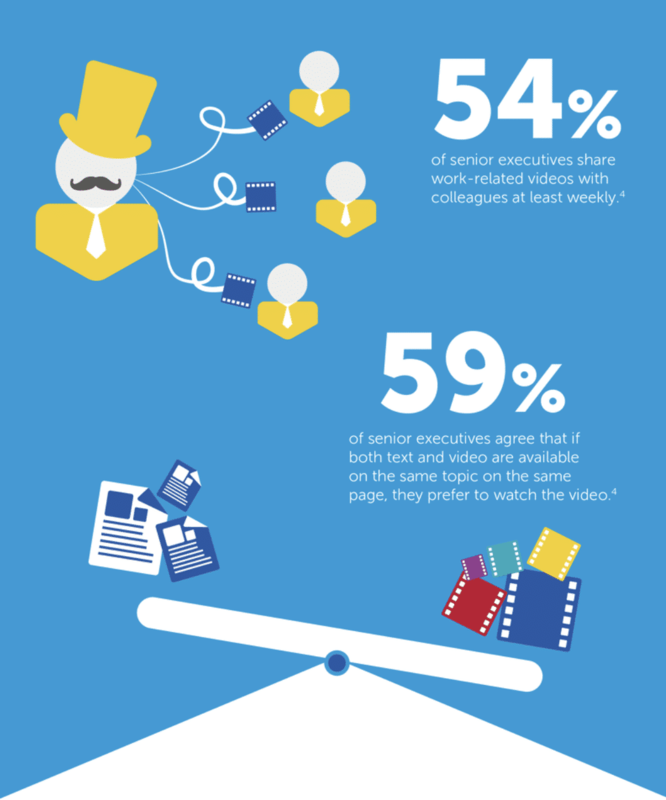 LinkedIn wasn’t about to be left behind, especially because it was discovered that if the content was found in both video and written format, 59% of executives said they would choose to consume it via video. At one point, LinkedIn users could only embed video content from other sources. However, LinkedIn has now made it possible to upload native videos through the mobile app. This move allows LinkedIn users to see a more “human” side of businesses, making the brands behind them more approachable. 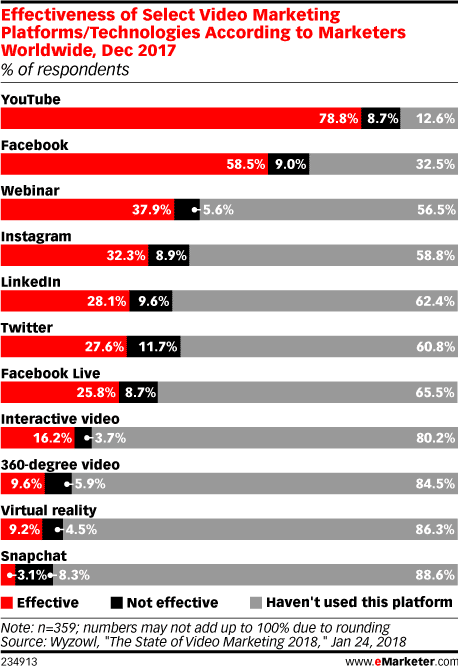 In fact, LinkedIn Video was named one of the most effective platforms for video marketing, though only 28% of marketers agree. That 28% might seem weak, but given that LinkedIn Video was only rolled out for users in August 2017, it’s actually pretty impressive that so many agree already. Since then, LinkedIn has introduced filters for videos, as well as native video ads as part of sponsored content offerings. This enables businesses to share their own video content. Prior to this, video content was only available for individual member user accounts. What differentiates video ads from others is that you can choose from a number of targeting options, such as job title, location, and company size. You can also apply advanced features, such as remarketing and matched audience integration. Since the beta launch of Sponsored Content, LinkedIn reports that users spent three times more time watching videos than viewing static content. During the limited or beta release of LinkedIn Video, it was found that videos were shared 20 times more than any other type of content. Have your facts straight when it comes to some of the wild LinkedIn stats that support the idea that the social media platform will continue to dominate? From about 3 million users banking in on the 9 billion impressions per month, to the realization that even LinkedIn statistics support Zuckerberg’s proclamation that video is the next megatrend, it’s clear that there is a lot to know about who is using the platform and why they’re doing so. Have any of your own interesting LinkedIn statistics to share? Post them in the comments below! While I strongly disagree with most of his post content, he certainly validates the concept of one-line post effectiveness. Boetry aside, really nice article here. Thanks for sharing! I still can’t believe that LinkedIn Video was named one of the most effective platforms for video marketing…But I guess publishing good and visually attractive content is what can attract customers attention.